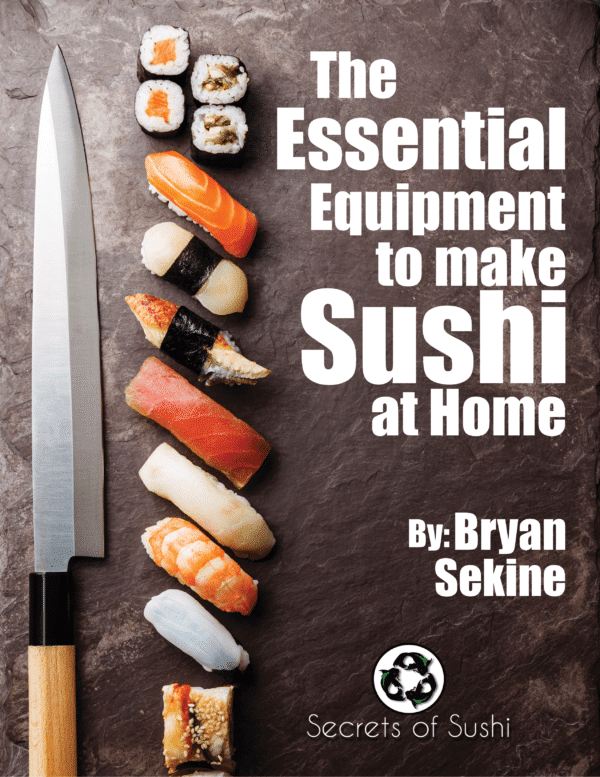 An important tool for a sushi chef! How to use one and where you can buy it online! 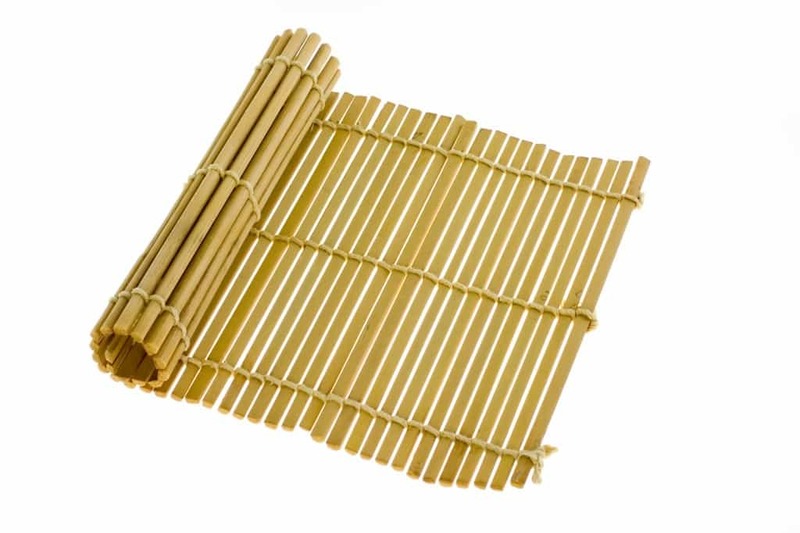 The Makisu, or sushi mat, is the bamboo mat used by sushi chefs to assist in the rolling process. Its simple to use and very affordable. If properly taken care of, a single mat can last for years! A good sushi mat should rounded on one side and flat on the other, at least 9.5″ x 9.5″ (24.13cm), and shouldn’t cost you more than about $5 (USD). I see a bunch of sushi chefs that wrap their mat in something. What is it that they are wrapping it with and why? Sushi chefs wrap their mats in food service film (or Saran Wrap) to prevent rice or other ingredients from getting stuck in between the bamboo sticks. While this isn’t a necessary thing to do, it really helps if you are planning on making more than just a few rolls. It also makes clean up a breeze! Could I just use a large zip lock bag instead of food service film? Technically, yes. But using a zip locked bag is more expensive, its not as flexible, and it traps air inside the bag – which will interfere with your rolling. How do you wrap the mat? I usually pull about 12″ of film out (without tearing it off) and flick a few drops of water on it – this will help the mat stick to the film. Then, I fold the makisu over while pulling out more film. Make sure that the edge of the mat stays straight. I usually use about 3-4 layers of film before tearing it off the roll. Once you’ve torn it off the roll, you will notice the loose ends on either side. I generally fold those over to the rounded side of the mat and use a lighter or a hot surface to slightly melt the film to adhere it to the other layers. Finally, fold the mat up and poke a few holes through the film to allow any excess air escape. You should also wipe the flat side of the mat with a damp wash cloth to prevent your ingredients from sticking. I’ve seen some plastic sushi mats. Do those work just as well or better than the bamboo mats? To be honest, I haven’t tried one yet. But I would be excited to know what you guys think about in the comments below! I don’t have an Asian market near where I live. Where can I buy one of these online? I always use Amazon.com for my online shopping. I’ll add a few links below so you can know exactly which kinds of mats I buy.